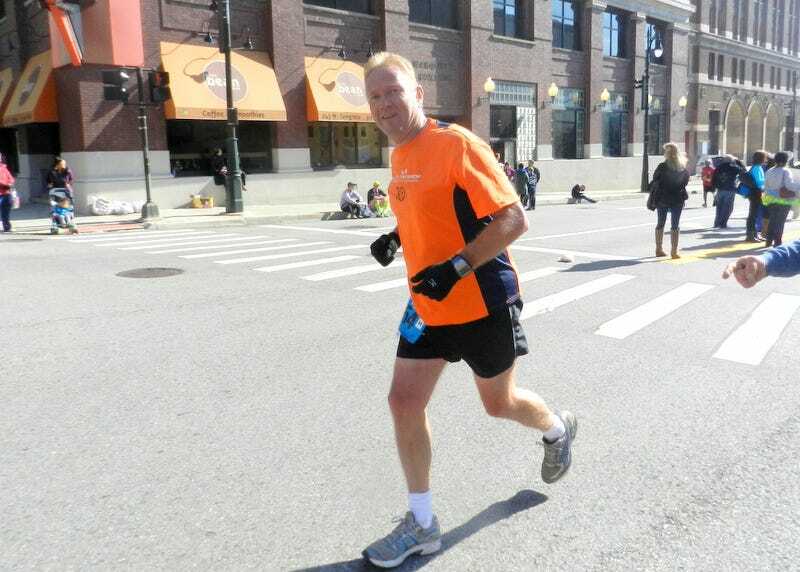 Hey All - I just registered for the Detroit Free Press Marathon. Like previous years, my training is behind schedule but I will show up and finish. Anyone here going to run? I have done 13 full marathons in my life but the ones I am proudest of (time-wise) happened LONG ago. Hey, I’ll admit it. Now I finish in the range where they use a calendar to record my time. Mainly, I run them to 1) have an excuse to hang out with my brothers and friends who run it and 2) have a motivator to get me out to run every other day in the months preceding the race. And yes, for those of you who are unaware, the race is 26.2 miles. I’ll post updates during the race (hey, at the pace I run, I could write letters and mail in my reports) but was curious if any of the readers/posters here might be there. Heck, if you’re in the neighborhood, just show up and yell something at me as I pass by. In fact, to the first person who spots me and yells, “Steve! GET OFF MY LAWN!” I will stop, get your name, and mail you a copy of your choice of any book I have written. and video cast blah blah blah.